There are so many fitness apps that it might be hard to decide which ones to try. That’s why we’ve put together 9 fitness apps we like for running, cycling, working out at home, yoga or tracking weight loss. These are our favourites, but we want to know your favourites too, share them with us in the comments below! One of the most popular running apps is a great GPS tracking tool that works with Fitbit, Polar heart rate monitors and Android Wear watches. You can also enjoy some good music when you’re running thanks to Google Music integration. There’s a paid version too, that will enable you to compare performance with your friends and much more. If cycling is your thing, try Strava. It’s a great cycling tracker that can also double as a run tracker if you need it to. It can record the personal best times for various routes and it will even let you know if your friend beats your best time on your cycle route. 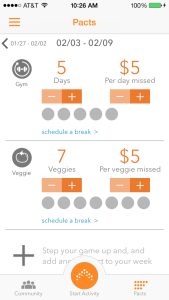 Noom Coach lets you log foods to track your calorie intake as well as workouts and weight loss progress. It also includes a pedometer which tracks how much you walk or run during the day. It’s not only about your input thought, as a real coach, Noom Coach adds articles about wellness and health to make you more motivated and give you an extra reason to launch the app. Lose It! 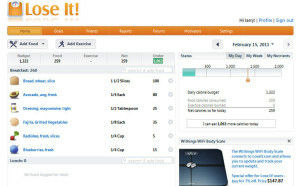 Is a website and an app that will help you count calories and track your exercise to monitor your weight loss. Lose It! has a great online community of supportive people who will motivate you to stick to your goals. Probably the best feature of this app is its compatibility with other fitness devices and apps, such as Nike+ Fuel Band, Runkeeper, FitBit and more so you can easily import your calorie intake and expenditure. Don’t have much time but you still want to squeeze in a quick yoga session? Daily Yoga provides over 40 programmes for a range of experience levels, durations and fitness goals. The app gives you access to a library of over 300 poses with HD video and voice instructions to help you master the poses. And if you like to share your progress, you will enjoy the social community of yogis within this app. Tara Stiles is a renowned yoga instructor with a great Youtube channel (read more about it in our previous blogpost) and she’ll guide you through any class you choose in this app. You can select classes based on the intensity level and duration that suits you the best and there are simply no more excuses for missing a class with this amazing app. If you need some serious motivation, this app is for you. You can use Pact to wager money on whether you’ll go to the gym or complete a workout. When you reach or exceed your goal, you earn cash. However, if you don’t, you have to pay up. Sounds like a good way to earn some rewards for your hard work! 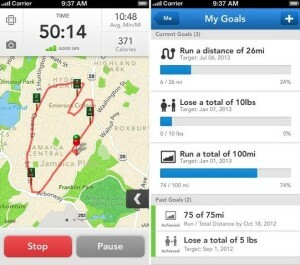 C25K is a great app if you want to start running but you feel like you need some guidance. It will help you to get from 0 to 5k in few weeks and will probably also change your mindset from “this is the worst thing ever” into “this is actually fun”. There are a few of these apps (e.g. the one by Zen Labs that we enjoy), most of them are quite simple and will do the job. Just feel free to repeat a week if necessary, it might take a while for your body to adapt to the new stress. 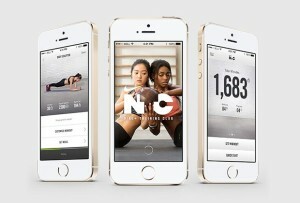 The last fitness app we’ll talk about today is the one by Nike. It offers more than 100 workouts for people of all fitness levels. It will let you choose from four goals: get lean, get strong, get toned or get focused, and create easy-to-follow workout plans. Every workout includes video tutorials and voice instructions so you can make sure you’re doing everything right.